"I have never been physically abusive in my life nor was I last night," Avenatti said in a statement. Michael Avenatti, Stormy Daniels' attorney, is interviewed on the Cheddar network, May 10, 2018, in New York. The LAPD tweeted that it was an "ongoing investigation." The department would not reveal the identity of the reporting party or the exact nature of the person's injuries. "I wish to thank the hard working men and woman of the LAPD for their professionalism they were only doing their jobs in light of the completely bogus allegations against me. I have never been physically abusive in my life nor was I last night. Any accusations to the contrary are fabricated and meant to do harm to my reputation. I look forward to being fully exonerated," he said in a statement released by his Newport Beach law firm. Although the LAPD would not release any details regarding the alleged victim's relationship to Avenatti, his estranged wife Lisa-Storie Avenatti and first wife Christine Avenatti-Carlin, both defended him. 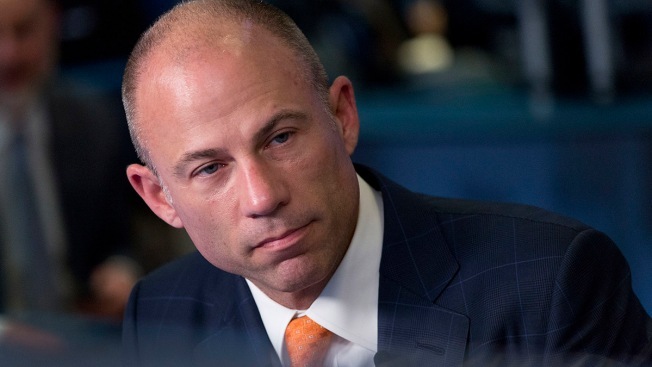 "My client states that there has never been domestic violence in her relationship with Michael and that she has never known Michael to be physically violent toward anyone," Storie Avenatti's lawyers said in a statement. Avenatti-Carlin, who was married to Avenatti for 13 years, said "he has never been abusive to me or anyone else." The case will be presented to the LA County District Attorney for prosecution. Avenatti is scheduled to appear in court on Dec. 5. NBC News Investigations' Andrew Blankstein contributed to this report.